UMLAUT are Chironomia & B.E.A. 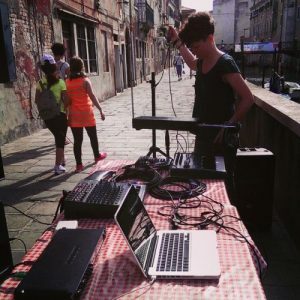 The duo was founded in 2012, during “Nitty Gritty” rewiev, organized by Osservatorio Queer Venezia in collaboration with Fondazione Bevilacqua La Masa, and other local partners, on the theme of public art and the border between performer and spectator. 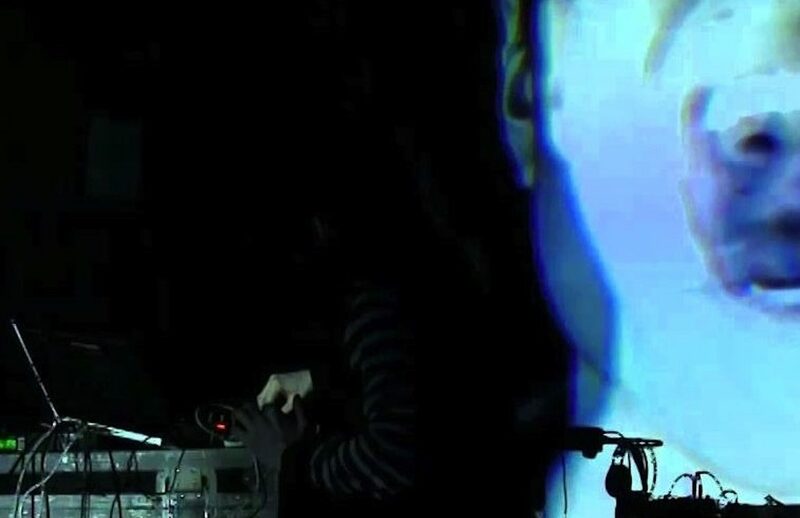 The sound of Umlaut is based on theremin and analog synthesizers of Chironomia (artist active since 2005 in the field of electroacoustic experimentation and improvisation) and drum machines and digital synths of B.E.A. Umlaut performance works on basic and naked shapes of sound, on a research that moves on the border with the noise. A minimal approach to tracks, with techno riffs and warped sounds continuously changing, creates a single sound wave, hovering between ambient music and experimental music. 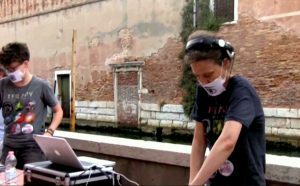 The duo works with performing and visual artists in various contexts, mainly in northern Italy and abroad.